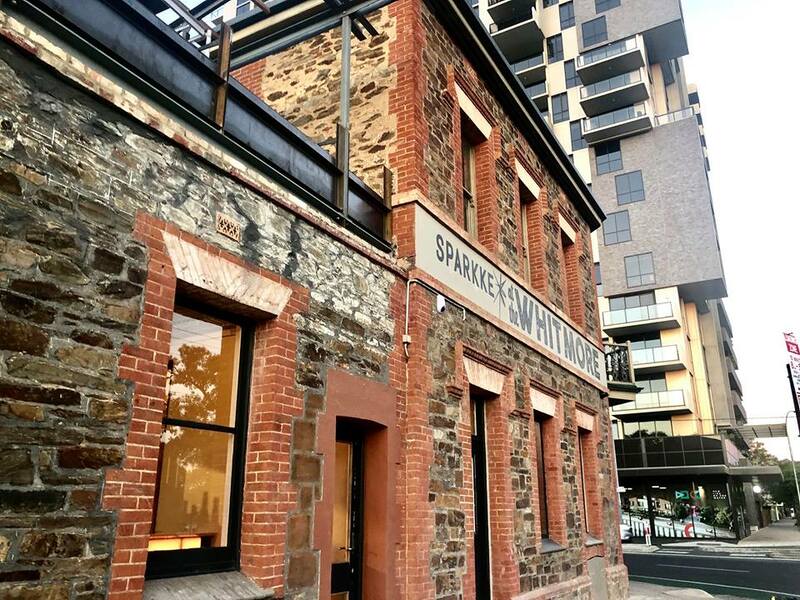 Over the weekend, Sparkke at the Whitmore opened its newly refurbished doors to Adelaide for one night only. The Whitmore is the first brewhouse for the female-founded and female-led company, and we were able to take a little peek at the fresh digs during the venue’s Rock-A-Bye-Baby event this past Saturday night. Throwing its doors open in the midst of a renovation, Rock-A-Bye-Baby featured She’s the Band, Phat Stuff, and roving swing dancers. Adelaide Fringe Festival is the perfect time for the socially conscious beverage company to welcome people in to their new lodgings for a beer and a ‘delicious brew’ of live music. In the midst of people enjoying classic pub schnitzels and hard lemonade for gender equality, there were the sounds of energetic saxophone solos and smooth base lines. Yet, the real theatre of the pub lays in the brand new brewhouse. The soulful custom-designed nanobrewery sits at the entryway of the hotel and is fully visible no matter where you stand, lending an industrial vibe to the historic pub. 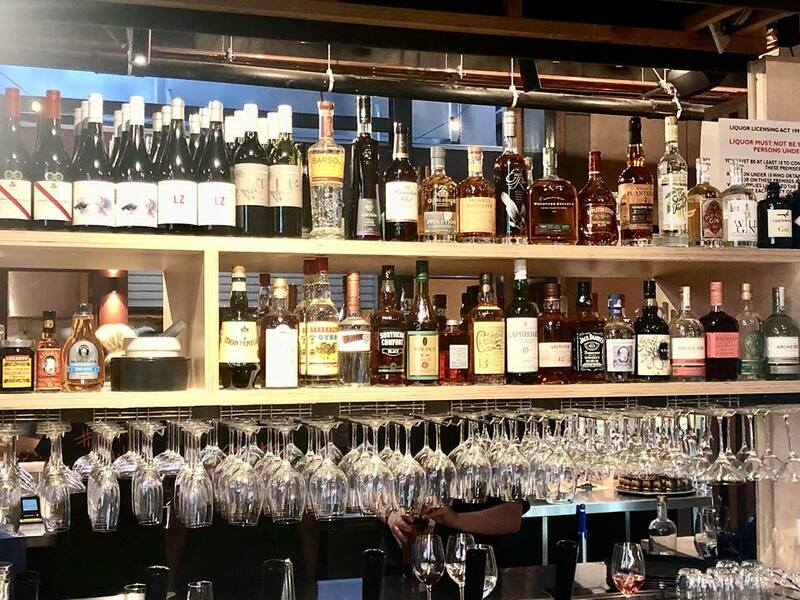 First opened 180 years ago as the Queen’s Arm Tavern, the iconic Adelaide institution is well in the midst of its $1.8 million transformation, as it becomes Sparkke at The Whitmore. Partnering with Troppo Architects, the new design nods toward the pub’s heritage, featuring exposed, weathered brick and traditional hardwood floors. Yet, the refurbishment also features a modern wall of glass with vibrant new timber. On the ground floor, there’s a courtyard that is perfect for summertime, and an interior that feels warm and comfortable, so we can’t wait to see what’s going on upstairs when the pub officially opens its doors post-renovation. We’re sure that it will perfectly complement the facelift that the heritage front bar has received. The end result is a space that feels soaked with history yet fresh and modern; it’s a harmonious combination of the old and the new, remaining very much in line with the brand’s social responsibility ethos and sustainable culture. “The building is now a physical representation of the Sparkke brand and our values of inclusivity, raw truth, social equity, individuality and a passion for excellence,” says head brewer Agi Gajic. Light, bright, and pokie-free, you can expect an inclusive, family-friendly, and heart-filled venue. “It’s chaos, but that’s Sparkke’s MO,” said Sparkke at the Whitmore’s GM, Alison James, of the renovation and the Rock-a-Bye-Baby show.